Hey there! 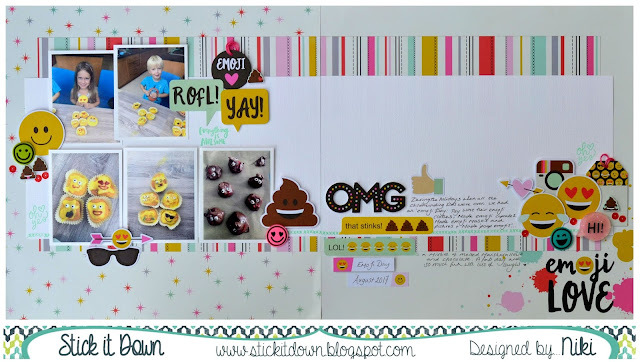 I'm up on the Stick it Down blog today with this super fun Emoji layout following this month's double sketch. I really went to town with the Emoji Love collection by Simple Stories ad the double sketch was perfect for my photos and my signature clusters. Head over to the Stick it Down blog for more inspiration from the Design Team and to join in with the challenges, there's a single sketch, a double sketch and a card sketch so something for everyone.